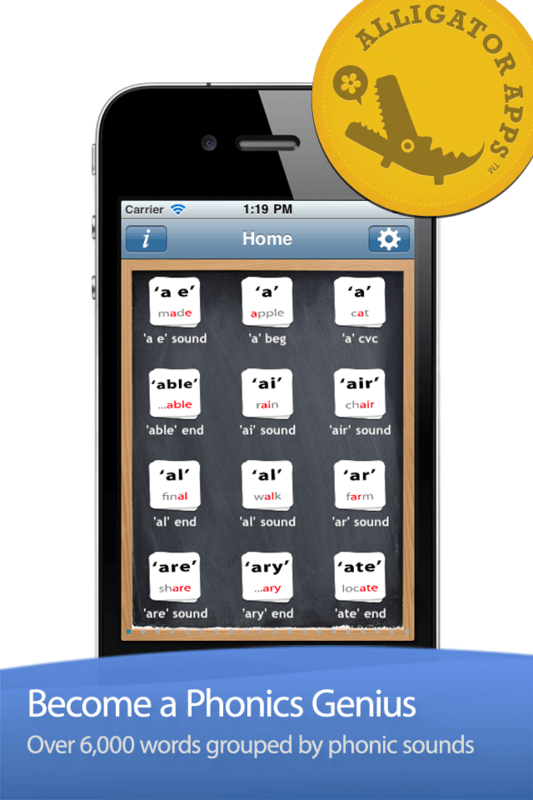 Phonic Genius is not as fun for users compared with the many phonic apps available today. What it lacks in playfulness, it makes up with its comprehensive list of words covering 44 phonemes with further sounds incorporated. 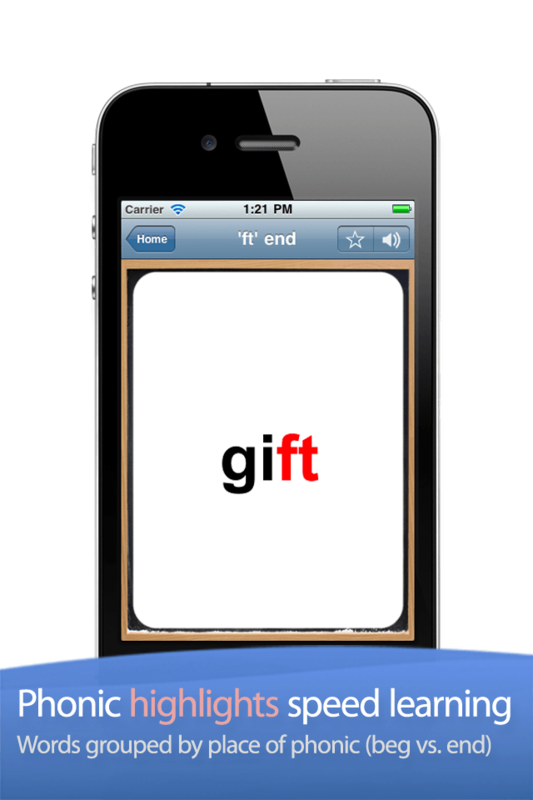 The app can be used in two ways, as a flashcard display and a 'find the correct word' option. Phonic Genius is not an app that should be used with children starting out on their phonic journey but for those with a solid grasp of phases 2 & 3 of 'Letters & Sounds'. 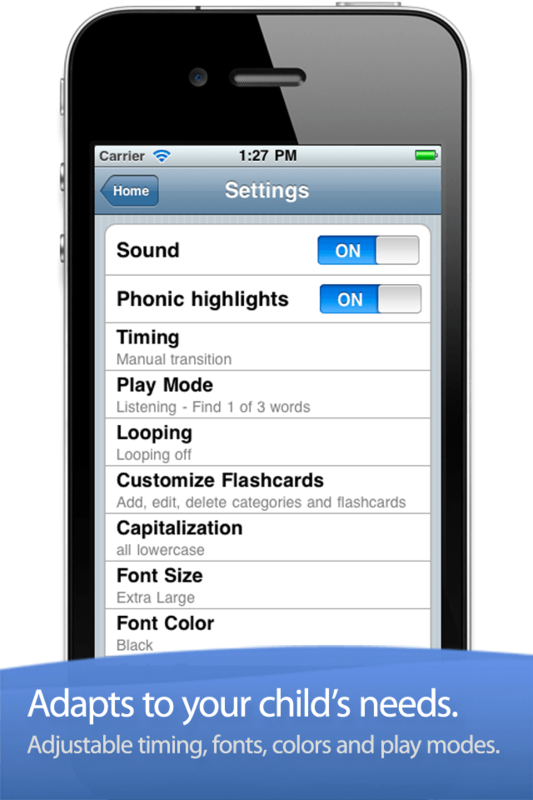 The biggest draw to Phonic Genius is that it can be completely customised to suit your needs. 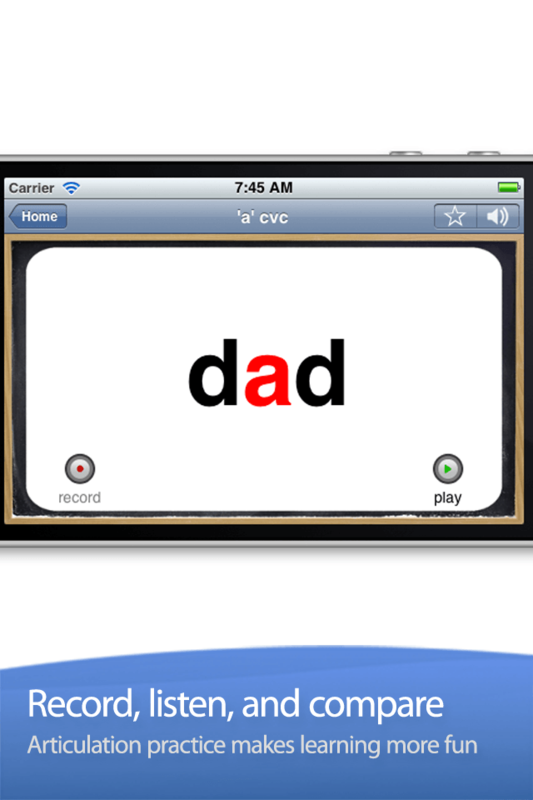 Pronunciation differs from UK English on certain sounds but the app allows you to record over the words. In-app accessibility features allows you to change settings such as font size, background and colour to support learners with moderate and more profound needs. 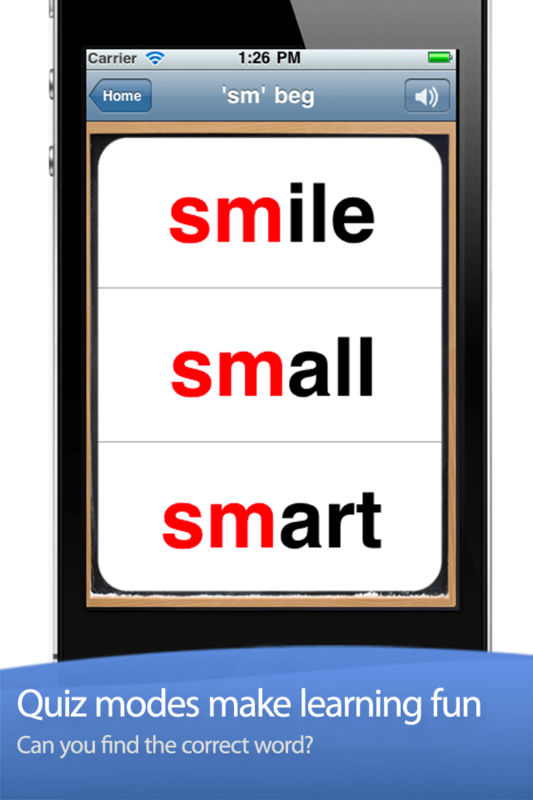 A real plus point for this application is the lack of cutesy characters usually associated with phonic resources, this can be a real draw for younger learners but not for older children with learning difficulties who see this as a step back in their learning.